I can imagine the feeling of being engaged. We never got engaged…Just called each other up and went to the courthouse! So we have never experienced the engagement process. But I can definitely imagine what it would be like. The excitement of planning your big day! 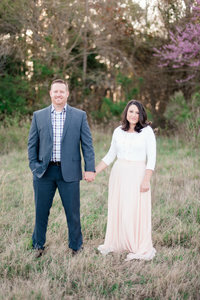 I love talking with my brides about their planning process. I get almost as excited as they do! lol. I can imagine finding THE dress. Picking the theme of the day and finding or creating all the details that will pull it off. Asking your friends to be by your side and be your bridesmaid, and of course showing off the ring! As a person who loves to plan and coordinate, I know I would LOVE every minute of it! I also know I would probably become consumed by it. And I know that I am not alone. 🙂 I just want to take this time to remind you that although your wedding day is a very special day and deserves a lot of attention…It is still just the very first day of the rest of your lives together. So my advice…Plan for your marriage not just your wedding day. 1) Take the time to focus on one another. Make time to go on dates and NOT discuss anything wedding related. Talk about your interests, other things that are happening in your lives. Let your fiancé know that they are more important than all the details and wedding planning. 2) Ask the hard questions, (self-image, money, spirituality, etc…). This is difficult but should be done. Although issues will arise in your marriage and you will work through them, it is important to know the foundations of who you are going to marry. How do they handle money? (Money is the number one cause of divorce). What are their beliefs and morals? What about their self-image. Is there insecurity? How will you both work through that? 3) Counseling. I definitely recommend this. It could be with a Pastor, a certified councilor, or even just a couple that has had a successful marriage. Getting advice and being in a setting where those hard questions can be brought up will help you both understand each other more and can alleviate some future surprises. Luke and I just celebrated our 10 year anniversary. And although we have worked through a lot of these things it was only by the Grace of God. I learned long ago that love is not an emotion or feeling. Yes there are times where my heart is overfilled with love for my husband and I cannot believe at times that he is mine. However, during the tough times it is so important to know that your love is a decision that you made on your wedding day. So during your engagement, Have fun! Enjoy planning for your big day, but don’t forget to plan also for the rest of your lives together.